Little Dragon - Little Dragon Sway Daisy / Best Friends Colored Vinyl 12". Vinyl 12. Loma Vista Recordings. 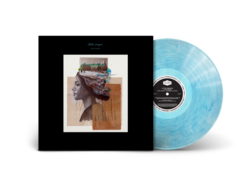 Little Dragon Sway Daisy / Best Friends Colored Vinyl 12"
Limited Edition Colored Vinyl 12"
Includes immediate MP3 download of "Best Friends / Sway Daisy"